Today we had tons of fun! The first group we had were interested in starting a football game almost as soon as they arrived. They made plans and plays all day until they had lunch. 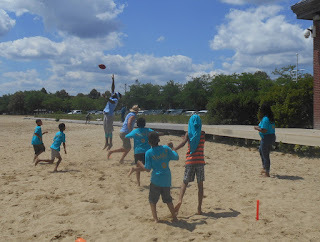 They ran up and down the sand, throwing and catching, having fun with their friends, teammates and the harbor explorers. 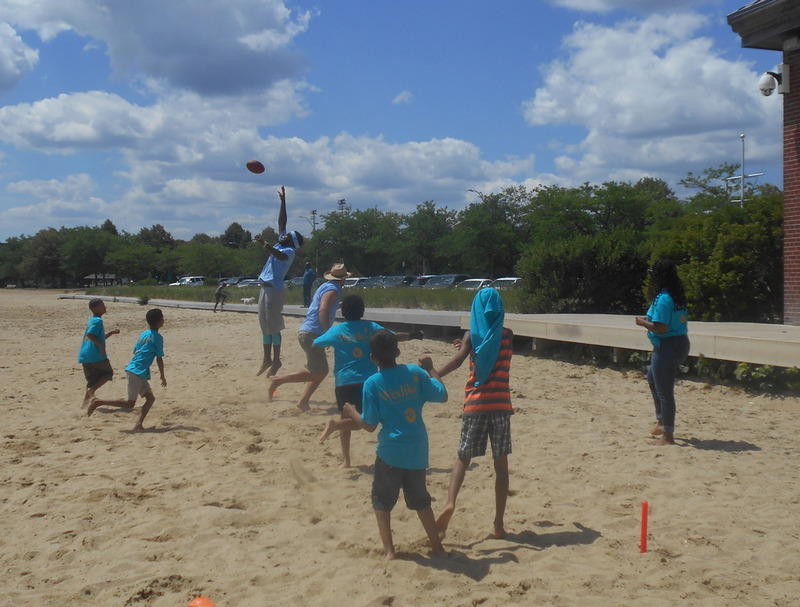 All of the kids had so much fun, we already have plans to continue the game in the future. 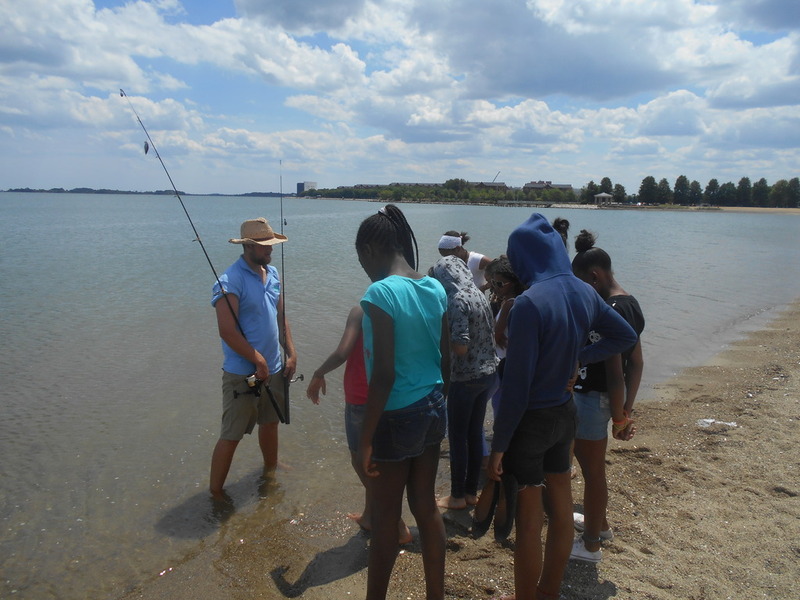 After football, another group went down to the water to learn how to fish. They had a blast. We didn't catch anything, but they had fun just learning to cast. They all took turns casting, helping each other and always asking questions if they didn't know how to do something. Honestly out of all of the groups I've taught to fish, this was one of the calmest and most patient of them all.